Bullock Funeral Home & Crematorium is located at 1190 Wilson Hall Road, Sumter, South Carolina and is an independently owned and operated funeral home that is committed to providing the highest quality service at the area's most affordable prices. The goal at Bullock Funeral Home is to achieve the highest of standards in the compassionate services, preparation, at-need services, after care services, and professionalism for the Sumter and surrounding communities. Owner and Funeral Director, Harvin Bullock has been proud to serve his hometown for many years. As a native of Sumter, Mr. Bullock graduated from Wilson Hall School where his mother taught English, and started his own business in Sumter as his father did. He began his funeral experience at 17 years of age at the former Parnell-Rutledge-Hurst Funeral Home. Always wanting to return home to Sumter, after graduating from the University of South Carolina, Mr. Bullock chose the funeral business because he found it personally rewarding to help people in one of their most difficult times. Bullock Funeral Home & Crematorium is located in the former Lowder mansion, which was relocated from the Columbia Highway to its current location at 1190 Wilson Hall Road. With their beautiful landscaped grounds, handicapped accessibility and ample lighted parking, Bullock Funeral Home is prepared to provide gracious service for those in their time of need. 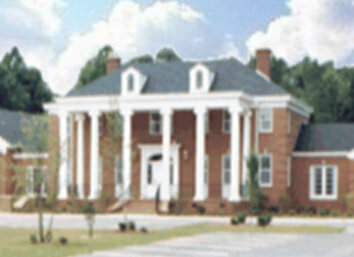 The building, built in 1954, was restored to its original grandeur and a spacious 300 + seat chapel was added; to make this one of South Carolina's premier funeral homes. As you enter Bullock Funeral Home you are welcomed by members of the caring and compassionate staff into the entry foyer with its hardwood floors, oriental rugs and a magnificent circular staircase. Warm colors surround you throughout the house as you go from room to room giving you a feeling of peace, serenity and security. Bullock Funeral Home offers five large reposing rooms providing a comfortable setting for all families and those paying their respects. The family conference room with its elegant table is the center meeting place for family members while making their arrangements. It is here where one of the licensed professional staff members of Bullock Funeral Home meet with the family in privacy and comfort to offer their support and plan in detail the individualized service for their loved one. Whether it's a full traditional funeral service, traditional funeral service with cremation or a cremation memorial service, all details are given every consideration, no matter how big or small, since every family has different needs. The addition of the spacious chapel provides seating for more than 300 people. The cathedral ceilings, large windows, and wide aisles offer a calm and dignified setting ensuring an appropriate background for both small and large services. Bullock Funeral Home receives high marks from families in all categories because their understanding, caring approach allows families to be involved in the entire funeral process from the arrangements to the committal. In addition to their regular services Bullock Funeral Home is happy to meet with you in the privacy of your own home to preplan your funeral and explain the substantial discounts available to you, your social security benefits, veteran benefits, and the filing of life insurance. Bullock Funeral Home believes their role in aftercare services is as important and has several different programs to continue their support and understanding for the families they serve. They are pleased to offer community outreach for those in need such as the compassionate service program, which provides low or no cost funeral for families that have lost a child. The more recent after care service program, the Angel Tree Memorial Service was initiated to honor and pay respect to all the families served over the last year during the holiday season. It provides a time of reflection for family and friends with words of encouragement and spiritual uplifting that helps with the process of healing from person to person. Bullock Funeral Home is happy to extend their support whenever they can. The crematory, a stand-alone building, sits adjacent to the funeral home and is the first facility within Sumter. A truly modern facility, the crematorium boasts state-of-the-art equipment, allowing the family owned firm to maintain a progressive, yet accommodating presence in the community. Bullock Crematorium believes in serving families to the best of our ability, and that means offering a full spectrum of services to meet their needs. With an honest approach, quality service, and affordable prices, Bullock Funeral Home is confident and ready to serve Sumter and the surrounding communities. They encourage you to stop by Bullock Funeral Home at 1190 Wilson Hall Road or call (803) 469-3400 with any questions, you may have. It is evident that the reason for the continued success at Bullock Funeral Home is because Bullock Funeral Home is the funeral home "Where Caring Makes the Difference".